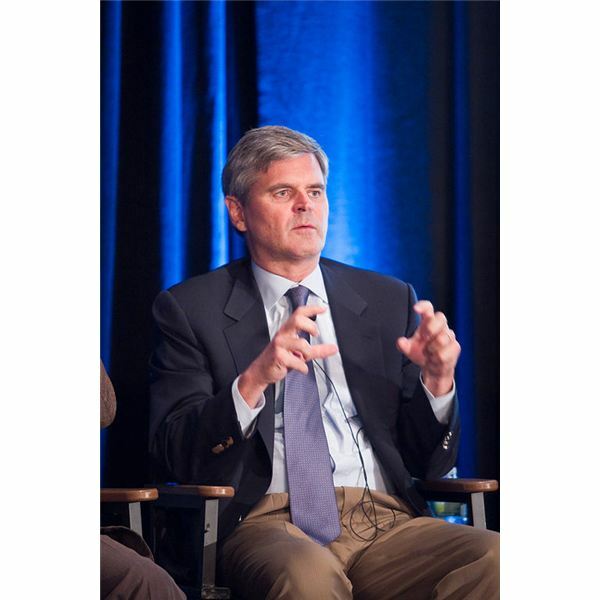 In his keynote speech at this year’s SXSW, Steve Case — the high-profile investor best known for co-founding AOL — described his predictions for the third wave of the Internet revolution. According to Case, this third wave will be the first to use the Internet to its full advantage and revolutionize industries that have yet to embrace the web in a meaningful way. These undisrupted industries make up more than half of the global economy and include such diverse sectors as energy, education, healthcare, and transportation. Case asserts that they’re ripe for innovation, and, as funding becomes more accessible and startups more global, the rate of disruption will only increase. He predicts that crowdfunding and impact investments will fuel these innovations. It’s a compelling argument — one which makes sense in today’s tech climate. Startups have already begun taking on traditional industries in both the private and public sectors. The third wave may be on the horizon, but we won’t get there the way Case predicts. Case divides the history of the Internet into two waves of disruption. The first wave, 1985-2000, consisted of developing the Internet itself. Innovators took a niche concept and turned it into the ubiquitous technology we know today. The second, stretching from the late 1990s to the present, involved the creation of new Internet services: search engines, social media, and mobile apps. Both waves revolutionized how we retrieve information, consume media, and communicate with each other. But both were narrow in scope — they focused on the Internet itself as an industry. The third wave will move away from the Internet as the focal point and instead use the web as a tool to improve more traditional industries. The transportation and food delivery industries have already begun experiencing this. Companies like Uber, Lyft, Instacart, and GrubHub are taking full advantage of mobile technology to make people’s lives easier. And the Internet of Things, an industry that has been on the verge of booming for what seems like decades, may finally become a reality as this third wave takes hold. Whereas the first two waves offered Internet-centric revolutions, this third wave promises a revolution beyond the web. It will affect the ways we interact with the rest of the world — and this is what makes it so exciting. Innovation, however, can only thrive in an environment that supports it, and without the right funding and the right partnerships, the third wave may never come ashore. How will we reach this third wave? This is where Case and I diverge. He envisions not only a technological shift, but also a transformation of business in Silicon Valley. No doubt, business practices will evolve, but Case’s predictions go beyond likelihood and into wishful thinking. Case believes that companies need to work alongside existing organizations to innovate from within, rather than try to compete against established businesses. Partnerships, rather than out-and-out competition, will enable disruptive products and platforms during this new wave. It’s more likely that innovation will vary from industry to industry. Sectors with heavy regulations or government involvement, such as education or healthcare, will indeed require strategic partnerships. But in sectors such as logistics, where disruption requires only a better software solution, direct competition will likely be the route to innovation. Case also asserts that entrepreneurs need to let go of the notion that the Valley is the only place to start a company. He recommends not only looking at other cities in the U.S., like Detroit or Kansas City, but also abroad. According to Case, the third wave will be a truly global phenomenon. And he’s absolutely right. As returns grow harder to come by in the U.S., investors will seek returns in emerging markets. Funding a disruptive Internet or mobile company in a developing nation like India or China will become the formula for success. Already, India has produced wins like InMobi, and China has produced Alibaba and Baidu. Successes like these will bring additional capital into other emerging countries to fund similarly disruptive businesses started by entrepreneurs who understand both technology and the local market. However, Case goes off the rails again in his predictions for funding. He believes that crowdfunding and impact investing will drive this movement and level the playing field for entrepreneurs. While it’s true that both will continue to play a part in investment strategies, he overstates their importance in the wider tech landscape. Kickstarter has fueled many innovations that may never have gotten funding otherwise, but top entrepreneurs still prefer “smart money" — funding that comes with industry connections. Partnering with seasoned investors offers benefits that crowdfunding cannot, and the perception that crowdfunded startups couldn’t spark the interest of top-tier investors is still prevalent in the Valley. When it comes to disrupting traditionally closed-off industries, this perception can be a huge barrier. Case’s predictions for impact investing are also overblown. Even impact investors have a fiduciary responsibility to generate maximum returns, regardless of social impact. Impact investing will be important for a small group of wealthy individuals who can afford to think about metrics beyond revenue. However, it’s doubtful that impact investing will ever take off as a major part of the economy. Companies like TOMS or Warby Parker may have a social conscience, but they also know how to make money. This third wave has the potential to disrupt everything from how we consult our doctors to how we get our power, but it likely won’t disrupt the way the tech industry itself does business. The right technology exists to spark the next wave of innovation, but for investors, this innovation will come in the form of business as usual. About the Author: Sathvik Tantry is the co-founder of FormSwift, a SaaS platform helping organizations go paperless. FormSwift’s tools allow businesses and individuals to create, edit, sign, and collaborate on documents and workflows in the cloud, eliminating unnecessary printing, faxing, and snail mail.